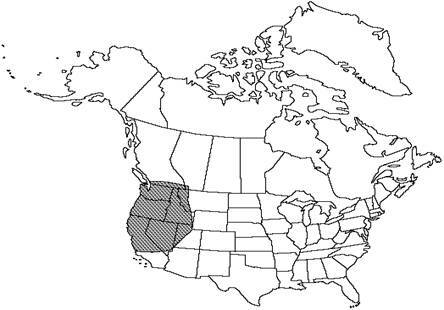 Climate, elevation: Hardy to -25°C, USDA Zone 5. Associated species: Closest to C. tomentosa, but less divided and sparsely hairy on the upper blade surface. May be collected as: After ripening and releasing their spores, the sporangia look fuzzy and slightly pale. Ripe sporangia have the most intense color and look firm or very slightly fuzzy. 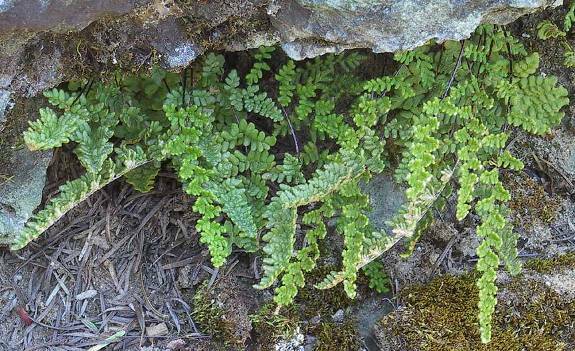 Place a portion of the fern frond having ripe sporangia in a loosely closed white paper mailing envelope and let dry at room temperature for about 2 days. Sporangia is brown to black or gray. Spores are viable for a year or more. Their viability can be extended by keeping the spores in the refrigerator (about 40ºF). Seed germination: Sow into prepared soil. Gametophytes (prothallia) first appear usually in 2 to 4 weeks. Propagation recommendations : Separate spores from chaff by putting the shed mixture on a paper square and tapping while tilting the paper; the spores stay behind while the chaff bounces forward. Better separation by sifting the mixture through a fine stainless steel mesh (40um openings). Use the spatula or brush to pick up or brush off spores into sowing container. Sow thinly so that crowding does not require transplanting (drop from about 2 inches a volume of spores equivalent to approximately 1/64th of an inch cubed). Be sure not to open the sowing container for more than a few seconds. Need to sow in closed container. Soil or medium requirements: use a 50-50 mixture, by dry uncompressed volume, of Canadian peat moss (sometimes sieved through 1/8th inch screen) and washed sand having 1/16th inch grain size. Crushed perlite of the same size can be substituted for sand. Perlite has some advantages: it holds water, it reflects light, it might have less contaminants than sand and it usually crushes instead of denting or scratching. Care requirements after installed: If the sowing container is sealed, no watering is necessary.. If watering is necessary, mist with distilled water; or if growth is yellow, add 1/4 strength nitrogen rich fertilizer. Gametophytes (prothallia) first appear usually in 2 to 4 weeks. The first fronds (sporophytes) appear about 6 to 12 weeks later (up to a year later for some species). 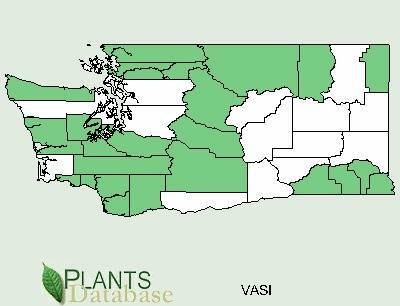 Since fern fertilization requires liquid water, Mist with distilled water when the gametophytes are about 1/8th inch across.